**Don't miss this reader-favorite tale of second chances from New York Times bestsellingauthor Sherryl Woods. **Jo D'Angelo's sisters thought they had the perfect prescription for mending her shatteredheart: a relaxing stay at Rose Cottage, their grandmother's idyllic home. 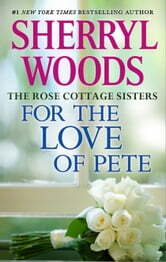 But for Jo, RoseCottage was a painful reminder of her youthful summer romance with Pete Catlett, whoseinfidelity had come to light when Jo learned of his shotgun wedding…Pete couldn't believe it when Jo reappeared at Rose Cottage, but he got the distinctimpression that he was the last person Jo wanted to see on her doorstep. Pete vowed togain Jo's forgiveness for his betrayal…and perhaps win her heart in the process.Book 4 of Rose Cottage Sisters. Previously published.